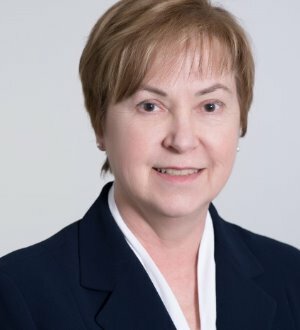 Sue Schaecher's practice has been dedicated to representing employers in labor and employment-related matters since 1984. She represents employers in bench and jury trials and appeals in state and federal courts, arbitrations, mediations, proceedings before state and federal administrative agencies, and government audits. She also advises employers involved in investigations, drafting policies and negotiating agreements. Sue provides advice and counsel to employers of all sizes from a variety of industries on matters such as employment discrimination, covenants not to compete, trade secrets, unfair labor practices, wrongful termination, joint employer liability, wage and hour issues, hiring, discipline, termination, workforce reductions, policy development, affirmative action and litigation avoidance. Throughout her career, she has presented seminars for companies and trade groups and at continuing education programs for attorneys and human resource specialists on labor and employment law topics. She has served on the faculty of the National Institute of Trial Advocacy's Rocky Mountain Regional Deposition Program from 1997 to present. Sue has written numerous articles on labor and employment law developments for business and legal publications. She is "AV" Peer Review Rated by Martindale-Hubbell for preeminent skill and ethics and has been listed in Best Lawyers in America since 2015.